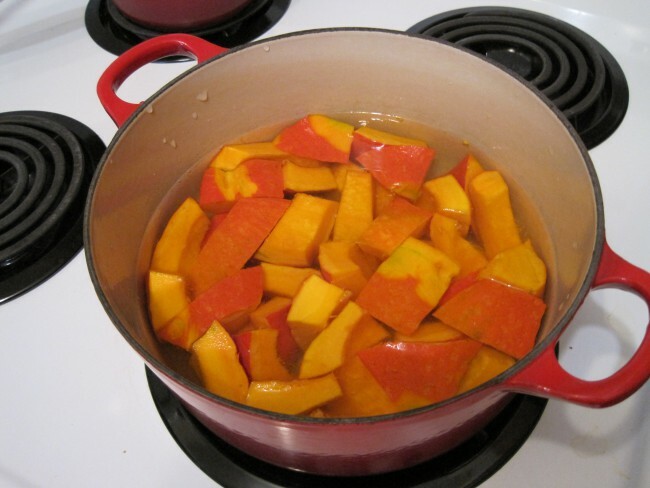 My first red kuri squash soup was terrible. Since then, I’ve been apprehensive about the kuri and usually stick to butternut. 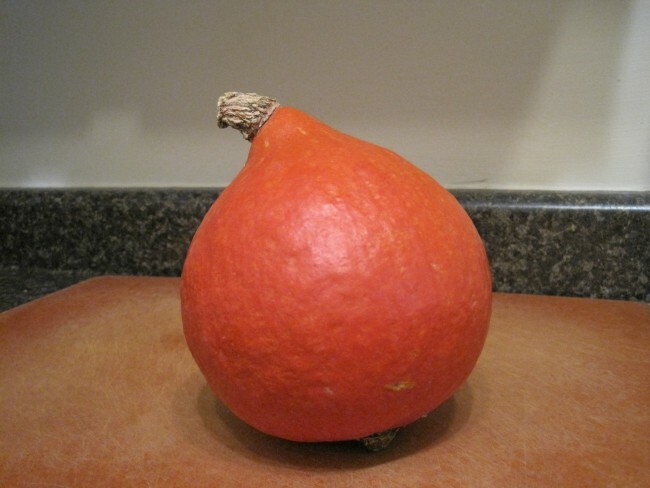 But there was a kuri squash at the store the other day and it was soooo cute. Luckily, my second attempt at red kuri squash soup was much better. Delicious and shareable! While squash is cooking, dice your onion and mince your garlic. Melt your knob of butter in a pan and add the onion. Let the onion get translucent, then add the garlic (I lower the heat a bit here, so the garlic doesn’t burn). Brown the onion and garlic on a low-medium heat, stirring them every once in a while. When the squash is cooked, add the onions and garlic and all the ingredients from mushrooms to shoyu. Give everything a nice stir, then let it all simmer in the covered pot for 15 minutes. Stir in grated ginger and turn off heat. Let ginger hang out in covered pot for 10 minutes, no heat. This allows the ginger to mellow a bit, the other flavours continue to harmonize and the mushrooms get a little softer. Blenderize the pot contents until delicious creaminess is achieved (I used an immersion blender). Stir in 2 tbsp of olive oil.